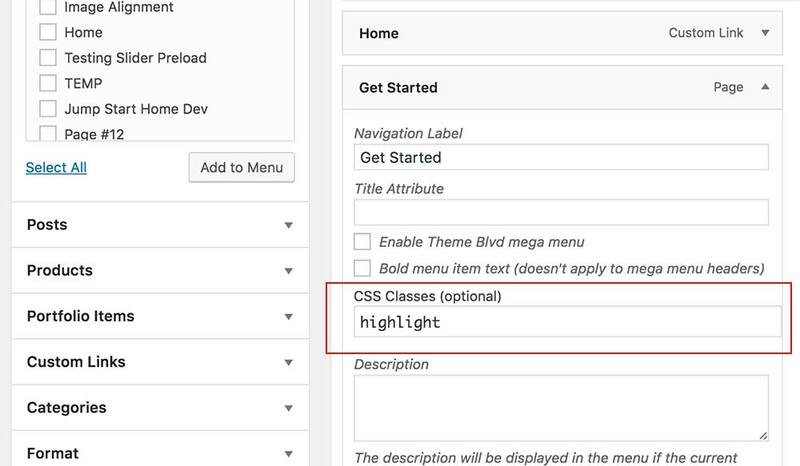 If your theme supports adding a call-to-action button, that stands out top-level of your navigation menus, you can utilize this by adding the CSS class, "highlight" to the menu item through WordPress's menu builder. Note: Do you not see the "CSS Classes" option? See article, How do I add a CSS class to a menu item?